Xiom , the biggest and most famous Korean table tennis manufacturers, produces a wide range of high quality and professional table tennis equipment, suitable for beginners all the way up to the elite levels. Most of their blades are made in Japan, Korea or China, whereas the majority of their rubbers made in Germany. 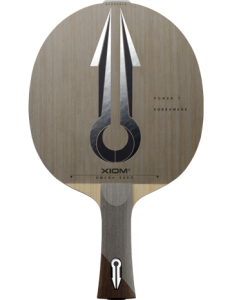 Xiom took the world table tennis market by storm in the early 2000s, with new and highly innovative products and packaging, adding new style and fashion to the game. Through my dealing with XIOM via OOAK Table Tennis Shop, a distributor for Xiom products, I got to know them quite well, and they kindly agreed to an interview. Questions are posed by myself and other members of OOAK Table Tennis Forum. Many thanks to OOAK Forum members for posting these questions! I’d like to publicly thank Mr Isaac Lee (Overseas Manager of XIOM) for all the time and effort he spent, giving us these detailed answers! Our company originally started in 1976 as Champion Co., Ltd. We started by making table tennis tables at first, and slowly expanded by producing rackets, and other table tennis products. We were very successful in Korea and became best seller for Table tennis tables and rackets in Korea. And due to fact Korea is probably 4th Largest table tennis market in the world, our company was very profitable company. In early 2000, Philip Kim, the son of founder of Champion Co., Ltd takes seat as CEO of the company and asked for a change. Even though our company was doing very good in Korea, we had no market share for the blade and rubbers within Korea. Champion perhaps had 5% share of the rubber and blade market. Even though we were a company of table tennis, our professional equipments were somewhat behind our competitors such as Nittaku, Butterfly and other popular table tennis companies. Philip felt that as long as we stay comfortably in Korea and not invest on professional equipments eventually the company will not progress forward. Philip wanted to make the company different from any other table tennis companies and add value to table tennis world by creating something that no other companies can dare to try. Starting 2004, we’ve started investing more money on professional equipments and recruited professionals to get the job done. In year 2007, our company were able to come up with superior rubbers and blades to release them in the market. But we felt that the name Champion was somewhat weak and conflicted with the Champion of USA, therefore we officially launched a brand, XIOM. As some of you might know, axiom means new paradigm or what you call a self-evident truth that requires no proof (Wikipedia). A. We’ve applied art to the table tennis world. If you look at each of our packages or products, you can see that we concentrate a lot on the packages or product design. Currently We have 8 designers in XIOM who is consistently looking for better and cooler design for our products. B. We consistently invest so much money and time on development. For example, every year, we test about 500~1000 new blades to come out with the best possible blades as possible. Starting with Hayabusa, next year we expect to surprise the world with the best of blade that has never been released. One of our goal is to become a world leader. But this is not our ultimate goal. Our ultimate goal is to keep on creating more value to table tennis world. Coolest designs, best products and loved by all table tennis players are just the some of what we really want as a company. Korea is very well known for science and technology. We applied science and technology to our products and became very successful doing so. Due to fact we were bit late starter to the professional equipments, we needed to concentrate and invest on product development. Even though we sponsor players, if they refuse to use our products because they are poor, we gain nothing. We wanted to give our players to best performing products. To be honest, we have done real good job making great products, and therefore now we are slowly looking for top players to sponsor. 5. What makes us different from others? Everything! We believe we are the pioneers for table tennis. We will introduce something new, and others will follow. Our release of black sponge, adding design to rubbers package and many more. Alex: At lot of company’s use ESN in Germany to produce their rubbers. Why do you use ESN, where do you develop the rubbers you ask ESN to produce and how much difference is there really between the different rubbers/sponges produced by ESN? Why not delve more into some of the Japanese manufacturers, and hence the Japanese style rubbers? Xiom: This is actually company secret, so it is bit difficult for me to answer. Alex: In general, what is the major difference between Asian, European and Pro version of your rubbers? Xiom: Sponge hardness is the biggest differences. Pro is the hardest, Asia is Medium, Euro is softer. Also pimple structure and also topsheet is engineered for different performances. Pro is mainly aimed for offensive play, while Asia is more offensive but with more control, Euro is more overall. Euro is good for very good for control and good spin. Alex: There are some mixed feelings about the life cycle of your rubbers products. Some says it is too short because soon after the initial release, Version 2 and 3 comes out very fast, which supercedes the earlier versions. What is your view about that? Alex: It was a shame to see that Xiom Guillotine was recently discontinued. Is there no market for long pimples? I’d be interested in a long pip rubber that is grippy and soft, somewhat like Butterfly Feint Long III or TSP Curl P4. Are you planning anything in this area? Xiom: The market for long pimple wasn’t that big, and our guillotine rubber had too many competitors that made bit difficult to sell. Therefore we have decided to discontinue this rubber. Currently we are working on new pimple out rubber right now. But currently we haven’t come with HUGE enhancement of rubber. So we will be working on it until we can come up with the best possible rubber. Alex: If in future you discontinue a rubber, how long after that date, will you continue to keep it ITTF approved so that existing users can continue using it? After we discontinue a rubber, we plan to maintain ITTF approved for at least a year and at most 2 years. Alex: Some of the vendors in the US that sell Xiom equipment do not carry Xiom Yanus. Is this rubber much less popular than most other Xiom rubbers? I’d be very disappointed if it was discontinued. Xiom: Currently we have no plan to discontinue Yanus DF. Every country had different preferences, currently Yanus DF is not yet popular in States? Alex: It would be great if the Xiom Yanus could be available in an intermediate thickness, between 1.5mm and 2.0mm? Is it possible that we will see an intermediate thickness, such as 1.7mm or 1.8mm? Xiom: Hmm interesting view. We will actually look into it. Alex: Is there any chance for cheaper versions of their Omega and Vega series? Xiom: Not possible. Currently the production cost of rubbers in Germany is really expensive and it is not possible to release cheaper tensor rubbers. Alex: Your marketing technical info for the rubbers is nice, but maybe you can get some real technical info, such as sponge hardnesses for your range of rubbers? Xiom: I was aware that there were hardness information on the website and etc, It is not a big secret. Let me check it to it. Alex: Could you compare the Vega, Omega IV , Sigma I, Sigma II and Vega Japan topsheets? I.E. Pip structure, hardness, thickness , formulation etc? Xiom: I can compare all the rubbers regarding pip structure, hardness, thickness, formulation and other technical stuff. But we really don’t open this information to our customers. We release this information to our distributors only. Alex: Is it possible to make the topsheet of Omega iV Europe 15-20% grippier, as this would have the perfect rubber for me! Xiom: Actually OMEGA 5 EURO is more grippier. Or feels more grippier. It is planned to be released this year. But have not yet decided when to release this rubber. However we do have all the Omega V euro rubbers produced. WE ARE very excited about this rubber. Alex: Where do you get your blades made? In particular, I noticed that their older line of blades (e.g., Maximus, Fuga) appeared to be made in China. Your new series though (e.g., Hayabusa) are instead made in Korea. Is this a long term trend (e.g., made in Korea rubbers?) and is there any particular reason you switched production? Xiom: Currently we produce our blades from three countries. We have a factory in Japan, Korea and China. We’ve started blade production starting year 2012 from Korea, and we plan to increase production of blades in Korea. One of the reason we didn’t produce from Korea earlier is because we were not ready. We didn’t have much experience with it. Now we have over 20 machines that we customized it especially to produce our blade. I can say for sure that we have most advanced and well equipped machines for the blade production. Hayabusa was just a start, we plan to release new blades that will blow everyone’s mind. Alex: What is XIOM’s policy on discontinuing blades? It seems a few blades which appeared to be popular have been discontinued. Can you make the promise that when they release a new blade they won’t discontinue it a year or 2 after? Why can’t you commit 5 or 10 years when releasing a new blade? In the future can we have new blades released with the certainty they will be available for sale for at least 5 years? Xiom: As stated before our company is young. We made MOU with (can state which university and professors) really really famous university and made our new blades. But after testing 1000~1500 blades per year, we came up with the perfect logic and formula of making most amazing blades. Our company is kind of perfectionist and we want to offer only the best, and we felt that our early version of our blades were not good enough. That is why we’ve decided to discontinue them. Did we have the bad sales for them? Not really. We cannot open quantities that we’ve sold but we did sell a lot. As long as we come up with better blades, we do plan to discontinue what is worse. We are going to keep on improving and come up with new blades. Alex: At present, I believe that the Aigis is the only Xiom defensive blade. To me, this blade is extremely soft. Is Xiom going to come out with a harder defensive blade sometime soon? Xiom: Actually Hayabusa Zi is bit defensive blade. But yes, we do plan to release another defensive blade early next year. Alex: Why do you shape the handles of your blades the way you do? Xiom: It is technical thing. But to make it easy to understand. We’ve made it so that it fits better to the players. Alex: Larger handle option would improve their appeal to western market — handles like Tibhar or older Stiga Legend. Are you considering this option? Alex: Why can’t/don’t you not offer more handle types, e.g. FL Master, FL Legend, Conical & Anatomic (like Stiga’s or Butterfly’s)? Alex: Do you plan to make new all-wood blades, especially with hard top plies? Xiom: We already finished producing them. They will be released later this year. I CAN Guarantee you that it will be MIND BLOWING! Alex: Why don’t they offer any thicker blades 7 mm and up made with cypress outers? Alex: Is it possible to publish accurate specs like thickness of blade, diamensions and weight range etc for your blades? Xiom: We do have them. Sorry I think a lot of information has not been distributed yet. Alex: When will Xiom be introducing Balls – it appears on the website, but not available for purchase. Alex: Will you be releasing the new Plastic (poly) balls? Alex: How do you test your equipment to come up with the ratings you do for your rubbers and blades? Xiom: Machines, that measure all 3d activities. Alex: Are they interested in getting products reviewed in English? 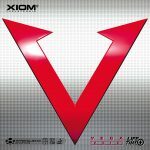 Xiom: From Vega Japan – all the reviews are in Japanese, and I struggled finding them in English. I am sure a few extra sheets of rubber won’t break the bank and in return, it will be very informative and easy for the TT fans to read up English reviews from the popular product reviewers out there. Vega Japan was our model made only for Japan. But due to popularity of this rubber, we’ve decided to release them to other countries. Currently it is not available in all countries. We do have English version, I will make sure that the information is released to the public. Alex: We haven’t seen any new good table from XIOM. Do you have any new designs in the process? Xiom: Yes we do. We plan to release them End of December. Alex: I visit Korea often. Does Xiom have a head office in Seoul that is open to visitors? If it does, is there equipment on display and for sale? Xiom: We have a shop (operated by XIOM HQ) and XIOM HQ in Seoul. You are welcome to visit the shop and also HQ anytime. Please just give us heads up. XIOM HQ has all the latest blades with future blades and rubbers, but they are not for sale. Alex: Are you planning on sponsoring any clubs or players in the Western countries like USA, Australia, UK, etc? Xiom: We are currently sponsoring clubs and players right now but not many. We do take applications for the sponsorship of players and clubs. Alex: Would you be willing to sponsor a forum testing party giving us a few blades and rubbers to test and publish reviews, like we’ve done for some other products and brands? Interview with Xiom, the biggest table tennis manufacturer from Korea.